New study on anxiety may have found a few interesting facts about how anxious people think of risk and loss. Using an advanced computational approach, reserachers found this . . .
Everyone has to make choices in life. Every decision you make involves risks and losses. There will always be that possibility that things might not go the way you planned them to be or something bad could happen. Abhorrence of risks and losses has cogent influences on how people make decisions. 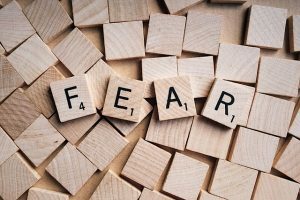 A recent study from the University College of London was published in Biological Psychiatry (2017) that investigated the influence of risk and loss aversion in people who have anxiety. This particular disorder is distinguished by crippling avoidance behaviour and problems in making daily life decisions. People who have an anxiety disorder may for example make a detour instead of driving over a bridge because of concerns that the bridge may collapse. The authors of the study were interested in whether people with anxiety overestimate the risk or if they’re more afraid of the consequences. The study has revealed that it may be more about the risk than the loss. The authors of the study used an advanced computational approach to determine why anxiety can be incapacitating. Almost all decisions in life have risks. And people with anxiety are very sensitive to these risks, which impacts their emotions, thoughts and behavior. The study had 25 unmedicated patients who were diagnosed of having generalized anxiety disorder and 23 healthy participants who performed a gambling activity to evaluate decision making. The design of the activity addressed a notable exclusion of preceding risky decision making studies, the unrelated contributions of risk aversion and loss aversion. The activity required the participants to make decisions between safe and risky options like sure gain against a riskier bigger gain or a potential gain against a potential loss. With this, the researchers of the study were able to separately evaluate risk and loss aversion. People with anxiety had the same levels of loss aversion to healthy people, but showed greater risk aversion. This means that both healthy people and people who have anxiety are loss averse, but people with anxiety are more disinclined to take risks than non-anxious people. The results of the study improve the understanding of altered cognitive processing in anxiety disorder by extricating the contributions of risk and loss aversion. The same levels of loss aversion differentiates from preceding assumptions that people with anxiety inordinately overthinks about the possible negative outcomes which yields to suggestions that abhorrence of taking risks drives avoidance behavior commonly seen in people who suffer from anxiety. This study accomplishes an essential step towards discovering the best approach for cognitive behavioral therapy to minimize avoidance behavior in people who have anxiety disorders. According to one of the authors of the study, it has been apparent that everyone should focus on motivating anxious people to enhance their tolerance for risk instead of reducing their defensiveness to negative consequences. 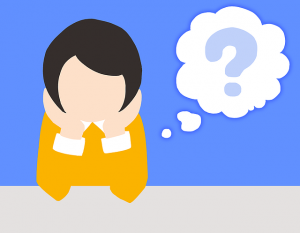 Do you have anxiety questions? Do you want to talk to someone now? Chat with a doctor for free and ask your anxiety question today.